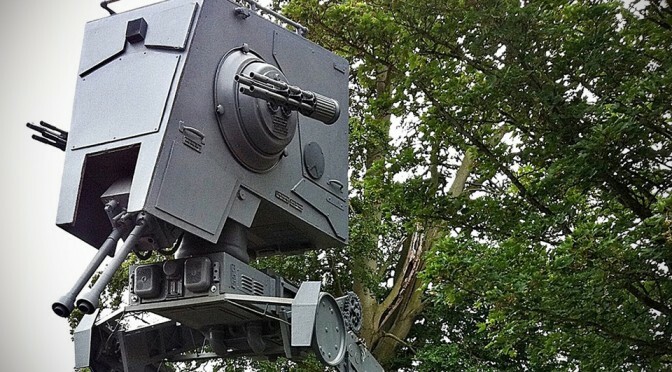 any Star Wars fanatic who wants to make themselves feel even more terrible, can prepare to drop 9,800 quids (around US$15,700) on this Life-size Star Wars AT-ST Walker Replica – one which, though claimed as “life-size” at 16 feet (about 4.9 meters) by its seller, isn’t really life-size if you were to believe the “specs” as provided on the Star Wars wiki’s All Terrain Scout Transport page of 8.6 meters (or 28 feet). anyway, that’s perhaps why this wood and metal replica is destined to be a prop for showing off on your front yard (it’s fully weatherproof, so it is perfectly fine for it be exposed to the elements) or inside your insanely high ceiling abode, rather than one functional mechanical monster from the galaxy far, far away, which also means you can’t actually hide it, much less ride it. 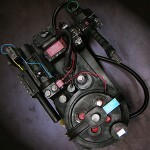 it is a replica, a prop – remember? fortunately or not, this isn’t a real working replica and so are the terrain- and Ewoks obliterating firearms. at a glance of the photos, the Life-size Star Wars AT-ST Walker Replica does look pretty convincing enough if not for the unusually ugly footings which we presume were needed for stability sake. though awesome, but we still think it could use a little “seasoned look” on its “metal body” for a touch of authenticity. 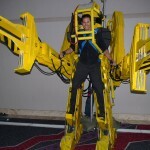 the whole structure can be dismantled for easy transportation or stuffing in into your pad or garage. looking past its feet (or in this case, footings), the Life-size Star Wars AT-ST Walker Replica is actually quite cool, don’t you think? well, anyway you can be the judge of it by going through a few more images in the gallery below.